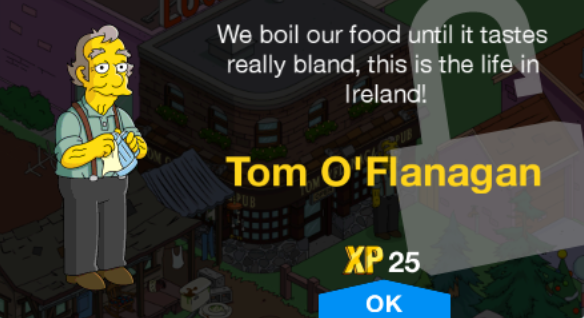 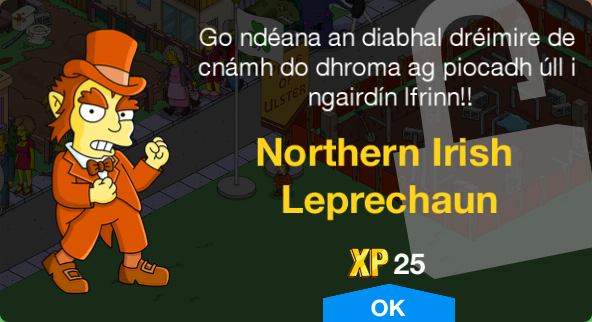 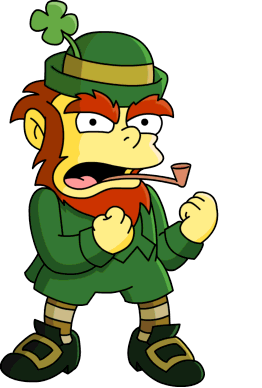 Irishmen is a character collection in The Simpsons: Tapped Out. 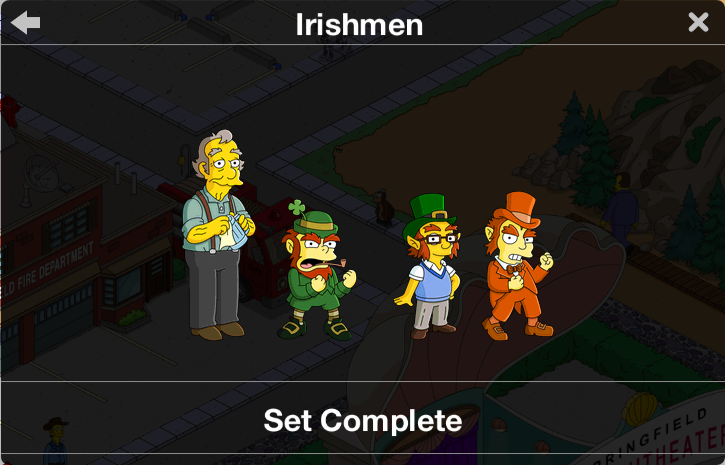 The collection features characters who are Irish. 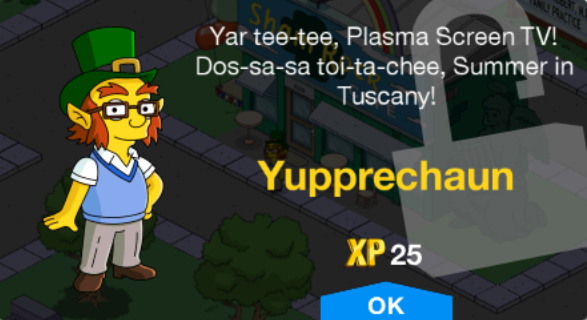 When tapped, he will run faster, and he will drop or . 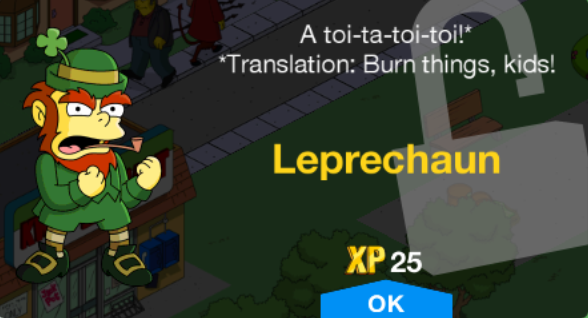 Modified on December 5, 2018, at 11:28.